Today is a special Secret Recipe Club Tribute to Daniel from the Haggis and the Herring. I personally never met Daniel but after reading several of his posts, I felt like I got to know him a little better. He had a love for family, friends and cooking. Daniel had suddenly passed away and it is such a horrible loss for his family, friends and us. I’ll be honest, I’m not good with emotional stuff, I just know how I feel and I’m not very good at expressing my feelings, so with that said I’m going to share with you the link from Daniel’s Eulogy that his wife wrote for him. As part of our tribute to Daniel and his most creative and wonderful recipes, we at Secret Recipe Club will be making one of his recipes to share with you. After going through all of his recipes, I found one that I feel in love with. It’s healthy, easy to make and makes for a wonderful snack! This is Daniels Yogurt Cereal Bars. He made these for his son Jeremy so he could have a pretty healthy snack! Daniel first made them with oats, but his son stuck his tongue to them when they fell apart. So Daniel, the creative culinary genius that he is, remade the bars using cornflakes! His son loved them and so do I! Whats even better, is that I love making bars, and normally I use oats, and my Husband, like Jeremy, sticks his tongue at them! Now that I will be re-creating this recipe a million times by using different fillings, I know my Husband will love them and I feel good knowing I am giving him something healthy!! These Yogurt Bars were so easy to make and the smell of them baking with the cinnamon, oh my gosh! I couldn’t wait for them to cool so I could bite into one!! 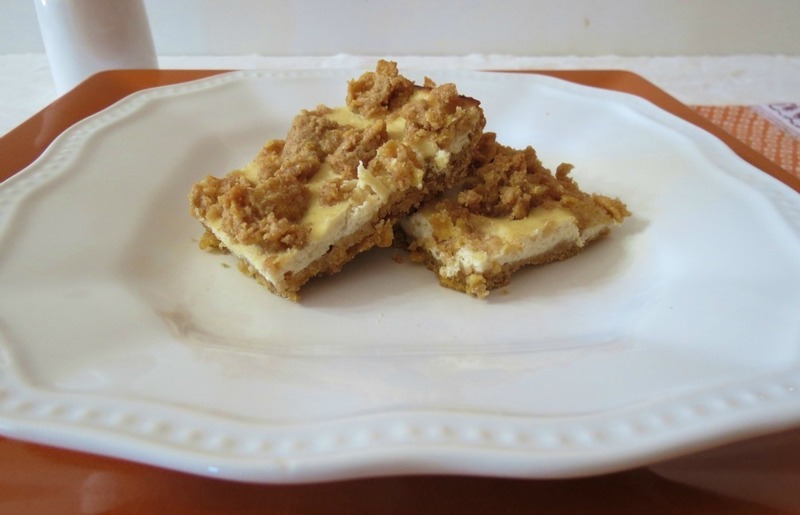 The cornflakes are amazing in this recipe and gives the bar a slight crunch. The bars aren’t too sweet but sweet enough! I think their perfect and I think you will too!! I was also surprised on how well the yogurt stands up to being baked. It’s almost a cheesecake consistency. You know I love cheesecake. My imagination is going wild thinking of all the things I can do with these bars! I hope Daniel doesn’t mind, but I know I will be using his recipe for a long time. I am just loving this!!! Combine corn flakes, flour, sugar and cinnamon in a small bowl. Cut in butter until coarse crumbs form. Press half of the mixture firmly into the bottom of a greased 8-inch square pan. Mix yogurt, egg and 2 tbsp flour in another small bowl. Spread yogurt mixture over cereal mixture in pan and then sprinkle the remaining cereal mixture on top. I want to thank Daniel’s wife for letting all of share Daniels blog and recipes with our readers. It’s an honor for me to be able to do so. 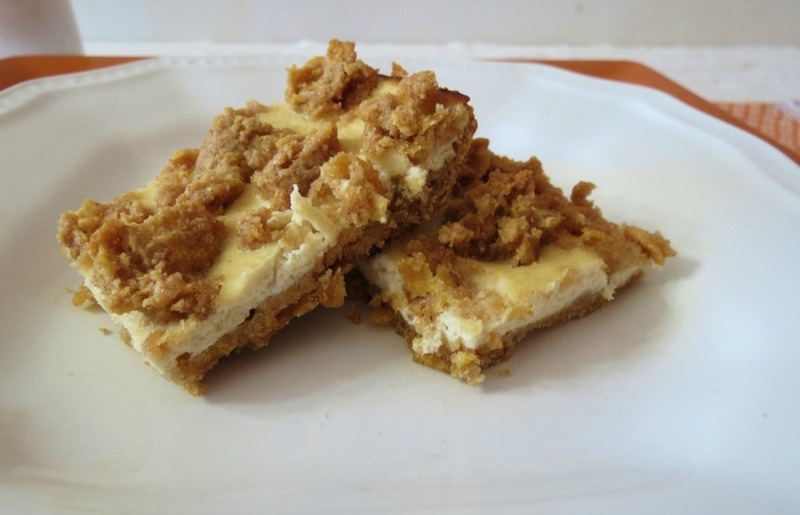 I made these too, and they reminded me a lot of cheesecake as well! Yours are gorgeous!!! I love these bars!! I’ll be making them again! What a great choice, and it looks like yours came out great. They did, we love them!!! Glad i made them and glad Daniel invented them!! You should make them! There wonderful!!! Thank you! I love these bars and so did my family. Daniel seemed like such a nice man, he will be missed! 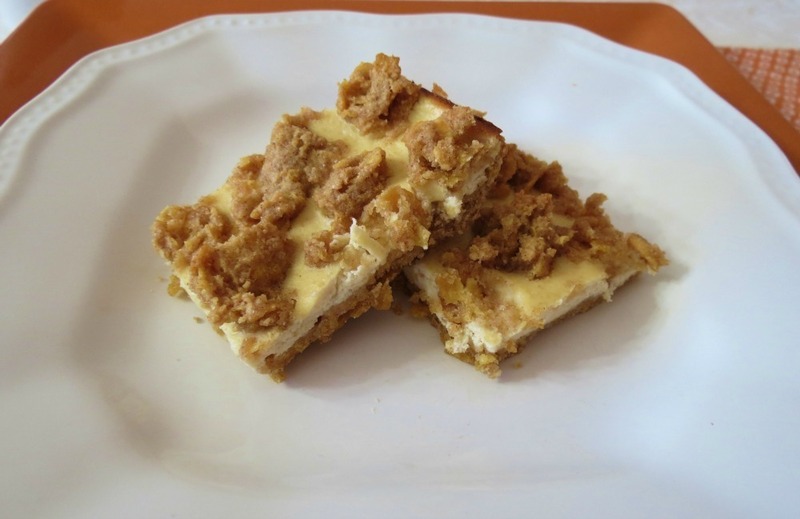 Greek yogurt bars with cornflakes. It seems that Daniel had a sweet spot for cornflakes. One of the last recipes he posted on his Google+ was a link to my Apples with peanut butter and corn flakes recipe. I’ll miss Daniel and his endless optimism that any cooking problem in this world had a logical solution. Ohhh that is so sweet! He introduced to me to a whole new world with these yogurt cereal bars! I love the corn flakes! It is a perfect bar! Daniel will be missed and your tribute recipe is perfect. Ive read about the tragic event…so incredibly sad. On lighter matters, these look great! Ive baked lots of cereal before but never corn flakes. Frosted Flakes and Golden Grahams but not CFs! Yum! I am going to have to make these–I just bought a box of corn flakes for something else, but there will be plenty left to make these. Great pick for the tribute to Daniel! I do like the idea of a cheesecake type consistency. Lovely tribute to Daniel. 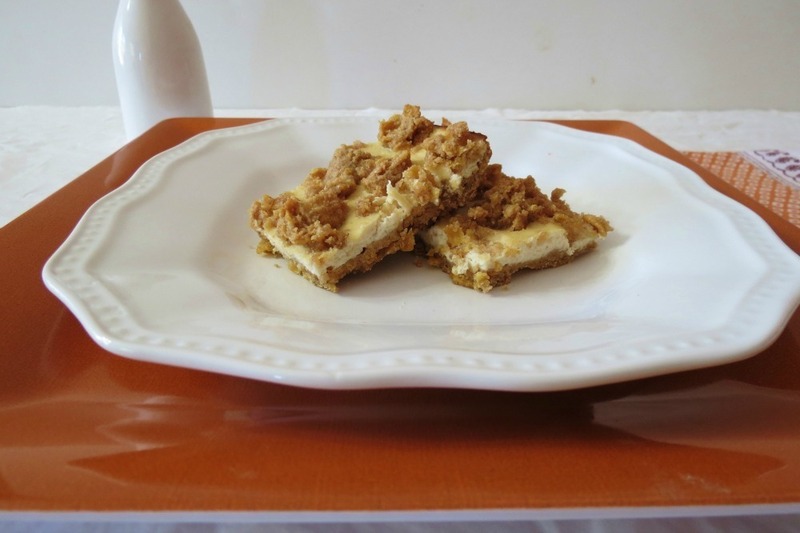 I love cooking with yogurt, but never thought of using it as a “topping” for a bar like this. Very creative twist. I know exactly how you feel about emotional stuff. Yesterday was a somber day, reading all the entries. No one should die at the young age of 37, with three young kids, a loving wife, and… well. That is that.